The bedroom has a fitted wardrobe and bedside cupboards, a TV and DVD player, tea and coffee making facilites, an alarm clock,hospitality tray,hair dryer,fold away table and chairs. 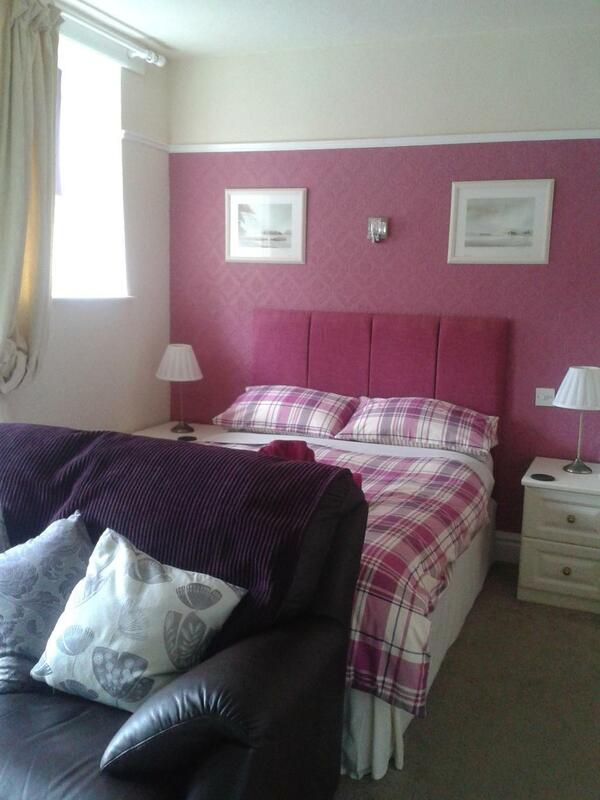 The bedroom has an en-suite shower and toilet with towels and toiletries included. For guests bringing their own laptop, there is free Wifi access in all bedrooms. For one of the double rooms there are two flights of stairs to this room and therefore may not be suitable for guests with walking difficulties.The other two doubles are only up one flight of stairs. Bedroom 3 is a larger double bedroom which also has a sofa and a larger flat screen digital TV with DVD player,hair dryer,hospitality tray,fold away tables,mini fridge. 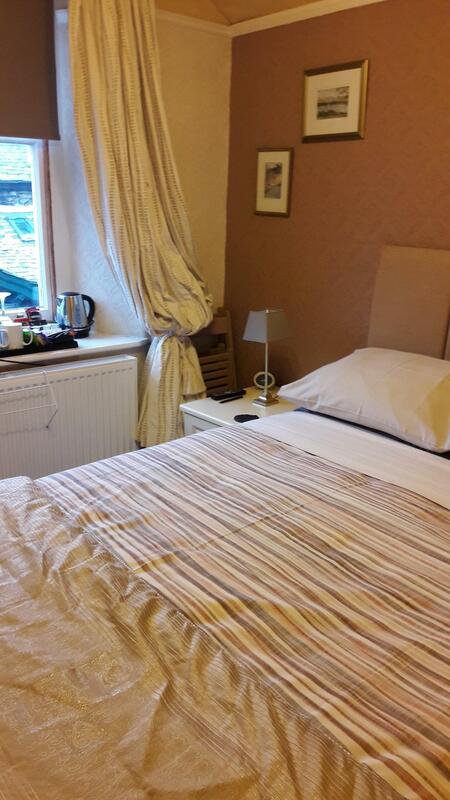 This bedroom has en-suite facilities of a shower, toilet and hand basin - with complimentary toiletries. 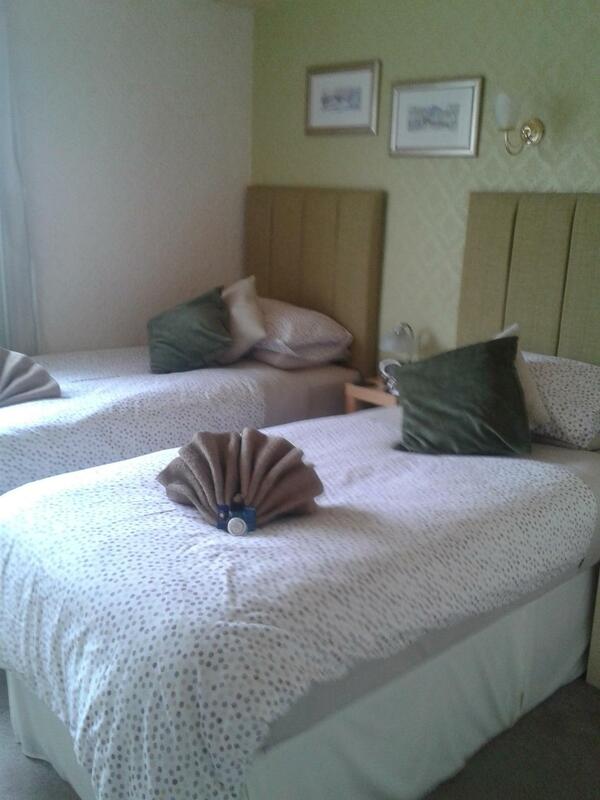 Bedroom 4 is a second floor twin bedroom - with two single beds.It has its own private shower room with fresh towels. Please select this room if you require the room for twin occupancy. This room is up two flights of stairs so people with mobility difficulties will struggle. We offer guests free internet access - just bring your laptop or iphone. Television, Hospitality tray,hair dryer,fold away table and chairs. Comfortable Property - This was a comfortable property to stay in for a couple of days. The breakfast was excellent with plenty of choices. The host was friendly and approachable. My only down point was the size of the en-suite toilet/shower room which was very limited for space.